Owen Sound: Inspired by a program developed in Venezuela in the mid 1970s, a local volunteer Board of Directors is announcing plans to launch a new and exciting after-school program this fall, for children in Grey Bruce. The Big Sound – El Sistema Grey Bruce (“The Big Sound”) will feature musical instruction, social development and of course fun! The Big Sound operates on the evidence-based premise that musical instruction improves a child’s self-confidence, concentration and motivation. Ultimately this can translate in to greater academic achievement and a healthier, happier life. A pilot program with up to 25 students from grades 4 and 5 at Hillcrest Elementary School will begin in the fall of 2018. “We are excited to partner with The Big Sound and work with its volunteer Board to help evaluate the impact of this program on our students,” said Hillcrest Principal Keith Lefebvre. Although the program will initially serve children and youth attending “in town” schools, The Big Sound hopes to eventually expand the program throughout both Grey and Bruce Counties. For over 35 years, students and graduates from Sistema-based programs have been impacted by the guiding principles of the program. Participants have experienced the power and joy of being part of something larger through musical collaboration. There are now hundreds of similar programs, which serve an estimated one million children in at least sixty countries around the world including Ottawa, London and Toronto. The Big Sound is part of a growing network of núcleos (centres) that are connected at the regional, national, and global levels. Each are operated locally but share a common goal: provide the tools to create better futures for the children who participate and encourage them to help build a stronger community. 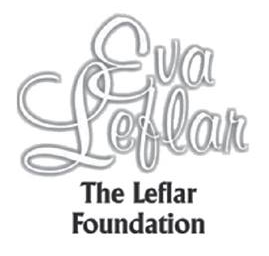 There are no annual fees or dues to establish local organizations and they are all independently operated. El Sistema Grey Bruce – The Big Sound Inc. is a registered not-for-profit charitable organization and official tax receipts will be issued for all eligible donations/charitable gifts. The operating budget for The Big Sound is approximately $60,000 per year and includes expenses such as musical instruments, food and instructors. 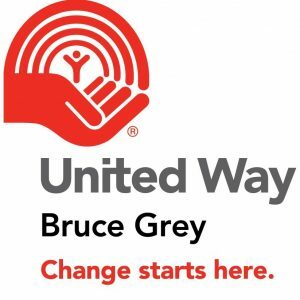 Funding has already been received from The McConnell Foundation, the Leflar Foundation, the Community Foundation Grey Bruce, MusiCounts, the United Way of Bruce Grey and a number of individual donations. In addition, a number of partnerships have been established to off-set program costs. The Bluewater District School Board, Long & McQuade and Yamaha Music Canada are supporting program development in various ways. El Sistema is a publicly financed, voluntary music education program that was established in Venezuela in 1975 by José Antonio Abreu. The intent of El Sistema was to promote social change through music. By providing free classical musical instruction to impoverished children, the program sought to create better opportunity and development for children at risk. In its first year, the program began with 11 children enrolled. Today there are over 400 music centres offering El Sistema inspired teaching internationally and over 1 million children & youth have participated in a program. To enrich the lives of children and youth by teaching them the global language of music. Through musicianship, inspire them to achieve their full potential and acquire values, skills, and knowledge that will help them pursue excellence and thus foster social change in the community. Do all El Sistemas offer the same program? No. Each program is individually operated, but all subscribe to shared values in terms of the populations they seek to support (vulnerable children and youth), the curriculum (orchestral training) and their purpose (to improve the opportunity for the growth and to inspire social change). Each centre is unique in how they identify vulnerable populations and how they work to make a community better. All El Sistema inspired programs begin with a group of committed volunteers who have identified a need in a particular community to support vulnerable children and youth. Using resources available through Sistema Global, local leaders can tailor programs and teachings to meet local needs in establishing a centre. But the oversight and operation of these centres is 100% local. No. El Sistema inspired centres are not required to pay any fees or dues to a central organization. All money raised locally, stays local. El Sistema inspired programs are currently being offered in over 60 countries worldwide, including in almost every province in Canada. Ontario currently has centres in Huronia, Mississauga, Ottawa, London and Toronto. There are a number of important reasons to establish any program in our community that seeks to support at-risk youth. In our region, the grade 12 five-year graduation rate is below provincial targets, the average income of our residents is 20% lower than the provincial average and almost one in five homes are “lone-parent” households. 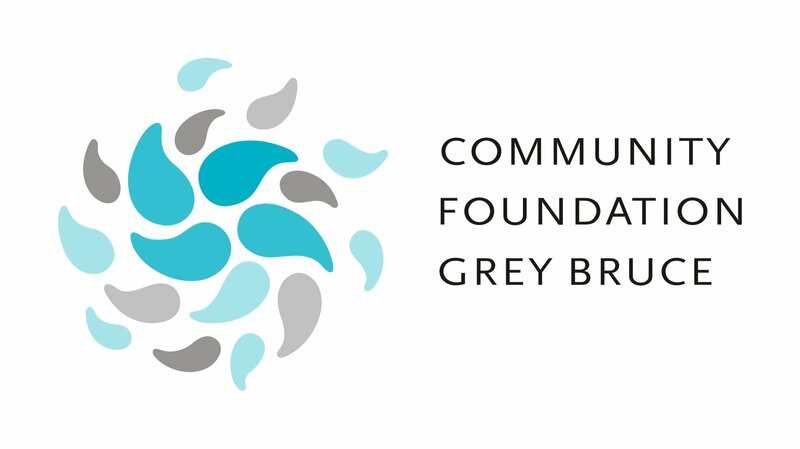 Children and youth in Grey Bruce will benefit from having another resource available that supports their education by promoting teamwork, organizational ability, coping skills, and discipline. What will The Big Sound music centre offer to families in Grey Bruce? The Big Sound will begin its first program offering in the fall of 2018. It will consist of ensemble-based musical lessons, led by qualified teachers, mentors and coaches and will run three days per week, for 2.5 hours a day. The Big Sound will operate much like an after-school program, providing instruction in a safe and caring environment when school is done. Enrolled students will receive instruction in string instruments, choral music, and general musicianship as well as be provided snacks and other support. How much will it cost to enrol in The Big Sound? There is no financial cost to enrol, however, participants are expected to make a commitment to attend and participate. Like other El Sistema inspired centres, this initiative will be locally funded by community donation, grants or other revenue opportunities. The Big Sound does not want cost to be a barrier to opportunity for children and youth at risk. Any student enrolled in a school within Grey or Bruce County will be eligible to apply. In our first year, we will be partnering with Hillcrest Public School to establish our first program. Up to 25 students from Grades 4 and 5 will form the first cohort. After our first year of operation, more students will be invited to apply for our fall 2019 program. The focus of The Big Sound will be to support vulnerable families in our community. Parents’ or guardians’ of interested students will be invited to apply through a process that protects their circumstance and dignity. We hope to enroll children & youth who have less access to extra-curricular activities, for reasons that may include financial, transportation or other restrictions. Students will not be required to purchase any special equipment to be a part of The Big Sound. Instruments, instruction and support are all included in the program. In our first year, the program will run after-school on Tuesdays, Wednesdays and Thursdays from 3:15 p.m. to 5:30 p.m.. This will give students the opportunity to benefit from a healthy snack, music and movement, and instrumental instruction, and other support. El Sistema Grey Bruce – The Big Sound is a registered charity, able to raise funds and provide charitable tax receipts for all eligible donations. 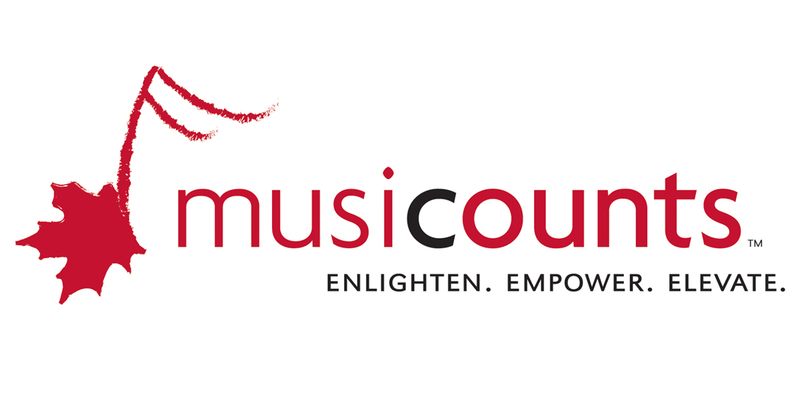 In addition to individual donations, The Big Sound has already earned the support of the McConnell Foundation, MusiCounts, the Leflar Foundation, the Community Foundation Grey Bruce, United Way Grey Bruce, Long & McQuade, and Yamaha Music Canada, and private individuals who have contributed to this initiative. The operating budget for our first-year is approximately $60,000. This amount reflects expenses associated with ensuring every enrolled student is provided a nutritious snack, has access to instruments, classroom instruction, and other costs directly associated with the program. The volunteer Board does not receive any money for their work and has strict policies in place for how payment is made to instructors and essential positions to make the program function. All money raised will go directly to support The Big Sound. The intent in beginning with a small cohort will allow The Big Sound to evaluate the program, get feedback from participants, their families, and from the School Board. It is important that we ensure we are meeting our goals and set the foundation for success in the future. It is our hope that students in the first cohort follow the program year-over-year, forming strong bonds with their peers, learning valuable skills and of course improving their musicianship. As we learn more about how our program works for the community, we will be able to reach more people and have a better understanding of how quickly we can expand the program. Make a financial donation to El Sistema Grey Bruce. All eligible donations will receive a charitable tax receipt for income tax purposes. Make an in-kind donation to The Big Sound. You can help offset some of our costs by providing or sponsoring the purchase of musical instruments, or provide accessible rehearsal space. Volunteer to support The Big Sound. We will have lots of opportunities for people to get involved in a meaningful way and help the program. We will post a list of volunteer activities on our website soon. To learn more about the program, visit us at thebigsound.org or contact us at thebigsound@rogers.com. Alternatively, donations can be made online at CanadaHelps. For donations of cash or in-kind services, please email us at thebigsound@rogers.com or phone 519-372-9715.